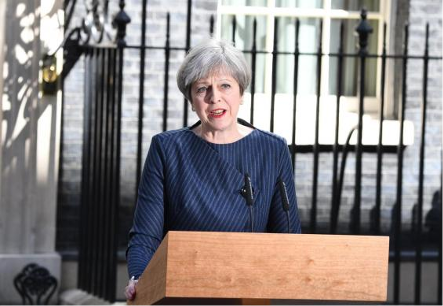 The Prime Minister, who had previously ruled out an election until 2020, shocked the political world with her U-turn earlier today. And she told ITV News her final decision was taken during a walking holiday in Snowdonia with husband Philip. She told the Queen on Easter Monday before getting the full approval of Cabinet on Tuesday morning. Ms May said: “Before Easter, I spent a few days walking in Wales with my husband, thought about this long and hard and came to the decision that to provide that stability and certainty for the future, this was the way to do it - to have an election. "I trust the British people. The British people gave the Government a job to do in terms of coming out of the European Union and I'm going to be asking the British people to put their trust in me in ensuring we deliver a success of that." Having repeatedly ruled out calling a snap election in the past, Mrs May said she had "reluctantly" taken the decision to go to the country on June 8 after seeing other parties "playing games" with the process of preparing for Brexit negotiations. She said: "Politics is not a game and the problem is we have other parties who are playing games. The PM also announced on Tuesday that MPs will vote as early as tomorrow to dissolve Parliament and hold the election. Despite widespread shock across Westminster at the news, the poll was welcomed by Labour leader Jeremy Corbyn and other political figures. Mrs May’s predecessor as PM David Cameron said the decision was “brave and right”. Making her announcement, Mrs May said the reason for an election was down to settling divisions over Brexit. She said: “At this moment of enormous national significance. There should be unity here in Westminster but instead there is division. "The games that are being played by other parties jeopardise our ability to prepare for Brexit here at home and weaken our negotiations with Europe."